The Chronicle newspaper (originally titled the South Australian weekly chronicle) was established in 1858 by the Rev. John Barrow as an adjunct to the Advertiser and as a competitor to the Adelaide Observer. The Chronicle was intended as week-end reading, originally providing country residents with general as well as local news, and giving workers unable to find the time to read the daily newspapers, a summary of the week's news. From 1914, with other competition increasing, the newspaper took a greater country emphasis. After the Second World War the newspaper increasingly focussed on rural readers and agricultural topics. The writers of the Chronicle women's pages in the twentieth century were particularly beloved by the newspaper's readers. Eleanour Barber's pages (1937-1966) and Mary Broughton's pages (1966-1975) included many articles and letters relating to South Australian history between 1937 and 1975. Indexes to many of these articles are held by the State Library. Aunt Dorothy's children's page was another long-running feature, first beginning in 1895. In 1867 the Advertiser company bought the Daily Telegraph and the Weekly Mail newspapers, and the latter was incorporated into the Chronicle. When Barrow died in 1874 the publishing of his three newspapers was taken over by his widow and Thomas King. Rev. William Harcus, a member of the editorial board, then became editor of both the Advertiser and the Chronicle, until his death in 1876. He was followed by the lawyer Jefferson Pickman Stow, and in 1885 John Langdon Bonython, previously a junior partner, took full editorial control. Photographs Under the ownership of Bonython, the Chronicle experimented with photographic reproduction. In September 1895 its older competitor, the Observer, included a four page pictorial supplement commemorating the Royal Agricultural and Horticultural Society Show. In response, the Chronicle produced a single sheet supplement carrying a photograph of the Chief Justice and Lieutenant-Governor, Sir Samuel Way, together with a biographical sketch in October 1895. Special pictorial souvenir supplements were then produced occasionally to mark such events as the 1901 Royal visit and the trial of Mary Schippan in early 1902. From 22 February 1902 until 4 May 1944 a four page illustrated supplement was published within the Chronicle every week. In the 1890s and early 1900s the newspaper produced coloured chromolithograph prints, mainly at Christmas, in the style of the English Pears' prints. From 1896 until 1916 a distinctive pink cover containing advertisements was used, being repeated from 1928. A coloured photographic cover was produced occasionally from August 1967. Later years In 1929 the Advertiser company was sold to a Melbourne syndicate headed by Keith Murdoch. 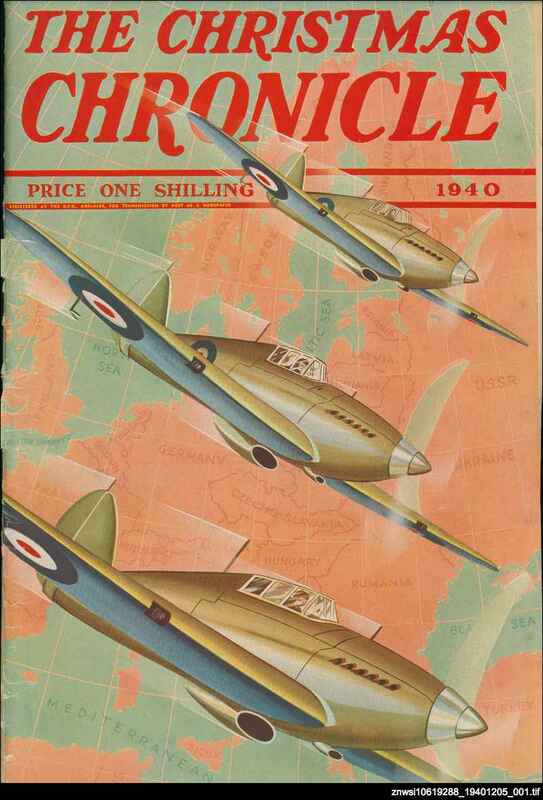 A south-east edition of the Chronicle was published from the 1950s until July 1969. From the late 1960s the newspaper was printed at Port Adelaide by Messenger Press. Later editors of the Chronicle included Ken Esau (a great grandson of JH Barrow), Harry Plumridge, Walter Pullman, Harold Sexton, and finally Jim McCarter. Trove : Historic Australian Newspapers: South Australian newspapers in digital format.